THREE SUSPECTS are sought in a string of armed robberies and an attempt in Garden Grove. The public’s help is being sought in identifying suspects connected to three armed robberies – and another attempt – at an adult video store in Garden Grove. 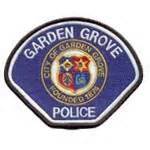 According to Lt. Carl Whitney of the GGPD, the incidents have all occurred at the Garden of Eden, 12061 Garden Grove Blvd., west of Harbor Boulevard. They took place for a period stretching from March 20, 2018 all the way to June 12 of this year. In all instances, a male suspect entered the business and threatened the clerk with a semi-automatic handgun. The suspect then took cash and fled on foot. On June 1, a suspect is seen on video loitering in front of the store and was standing next to a female who may have acted as a lookout. In the June 12 incident, the suspect covered his face and threatened the clerk with a handgun, but left without any money. The suspects are two male Hispanic, ages 25 to 30 years old, armed with handguns, as well as a white female, 25 to 30 years old, with prescription glasses and with tattoos on her legs. They are considered armed and dangerous. Anyone with information on the suspects can contact Detective Jim Franks at (714) 741-5836. The video and still images are available at http://bit.ly/GGPD211series.